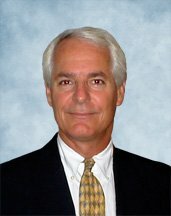 Having been with an international firm, Hunton & Williams, and served as general counsel with publicly traded corporations, Dave brings a unique perspective to the practice of law – the expertise developed at a large firm and the focus on efficiency developed through his in-house experience. This experience provides Dave with the insight to structure legal solutions and processes that are efficient, yet effective in reducing a company’s liability and legal expense. Dave is a military veteran, who has served on active and reserve duty with the U.S. Navy and retired as a Captain.